It’s been almost two full years since BADLAND originally saw the light of day, when it hit iOS devices in early 2013. A lot has happened since then, including a slew of content updates and the addition of local multiplayer. Good stuff for sure, and soon-ish, desktop and console gamers will be able to sample the goodness – maybe save a deformed forest in the process – as the title is finally about to leave mobile exclusivity! With more than 20 million players, surely no one’s unfamiliar with the game at this point, right? If only. So, for those not part of that particular group, here’s what’s what: someone messed up the forest and it’s your job, with the help of as many clones as you can gather, to fix it. Won’t be easy though, as everything from spinning sawblades to giant cogwheels, lasers and other ‘environmental’ hazards are certain to squash your efforts… without even the slightest amount of remorse. Sounds fun, right? It actually is, if a tad difficult, but that’s just the way it is! Its later levels, anyway; early ones – not so much. Oh and speaking of content… this upcoming Game of the Year Edition/port, which will be available on Steam (Windows, Mac, Linux), PlayStation 3, PlayStation 4, PlayStation Vita, Wii U and Xbox One, features a whoopin’ 100 levels, which I’m almost certain translates to ‘every piece of DLC’. On top of that, there’s also 27 stages for some local multiplayer mayhem. Time for some couch craziness, eh? Now, the one bad part of all this is that the exact release date is currently unknown, aside from a semi-vague “spring 2015”, which could mean anything from March to June, depending on who ya ask. 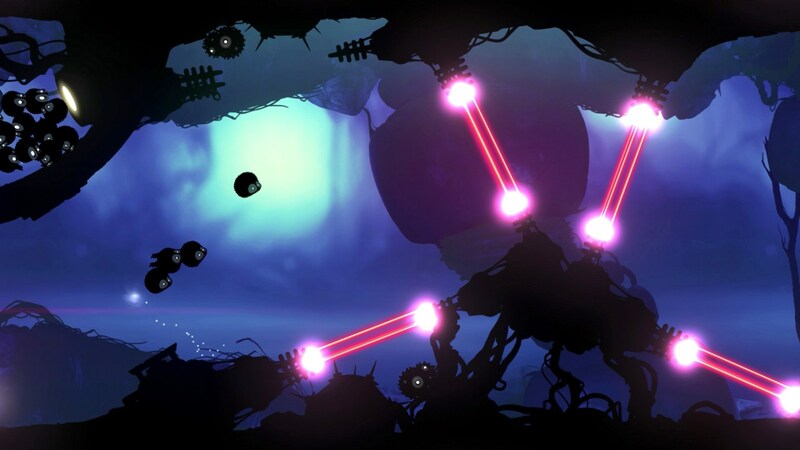 Me, I say spring can’t come soon enough, and not just because of how awesome it would be to play BADLAND with a controller! BADLAND is currently available for iOS (iTunes) and Android (Google Play, Amazon), with varying price tags.